When sitting down for the test, ask the audiologist how it will work, so you can understand the importance of the information when you get it. A sound is really a wave of vibrations in the air. Measures are taken of these waves determine the specific frequency (pitch) and height or amplitude (volume). 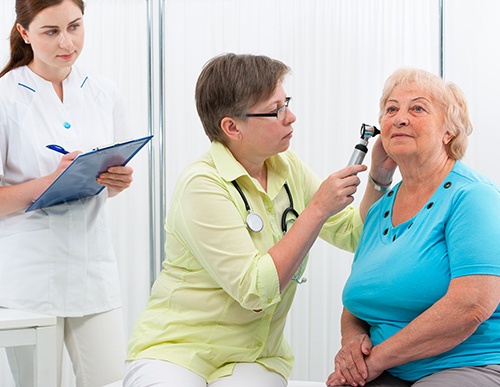 A hearing test introduces sounds to you at different levels to see what you can and can’t hear. In most cases, you are asked to sit in a sound proof booth with headphones on and acknowledge when you hear a sound. The audiologist gets a record of what frequency and amplitude you hear in each ear to measure your specific level of hearing loss. For some, the audiologist will test the structures of the middle ear, too. For instance, a tympanogram will measure how well the eardrum and middle ear works. An auditory brain stem response tests the brain’s reaction to sound. All this gives the specialist a well-rounded metric of your hearing ability and where it fails.